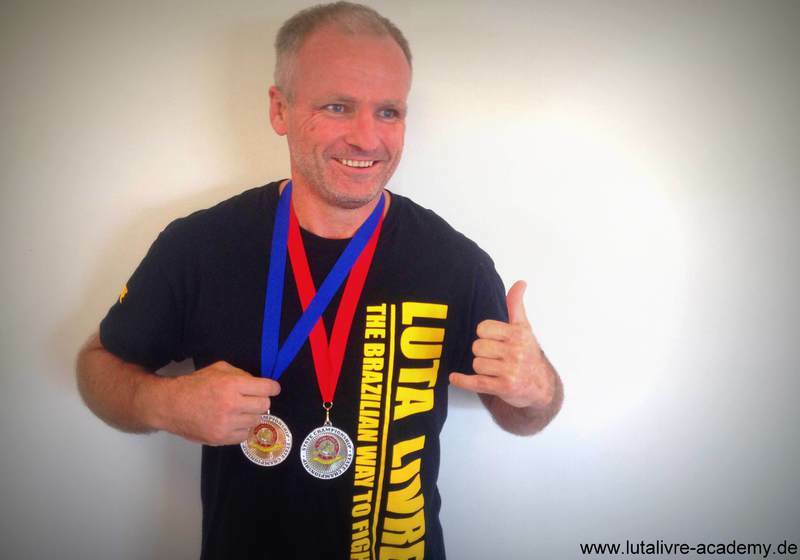 Last Weekend 07/06/2014, the Queensland State BJJ Championship was held and the Welko Academy for Luta Livre Athlete of the Kinetik Grappling Club, Sean Besgrove, has taken gold and silver in his division and in the absolute. Sean is currently ranked second in Australia in his division for his recent performance. Months ago Sean also took gold and silver in the Brisbane BJJ Championship, South Pacific Championship and in the Submission in the Cage Tournament. 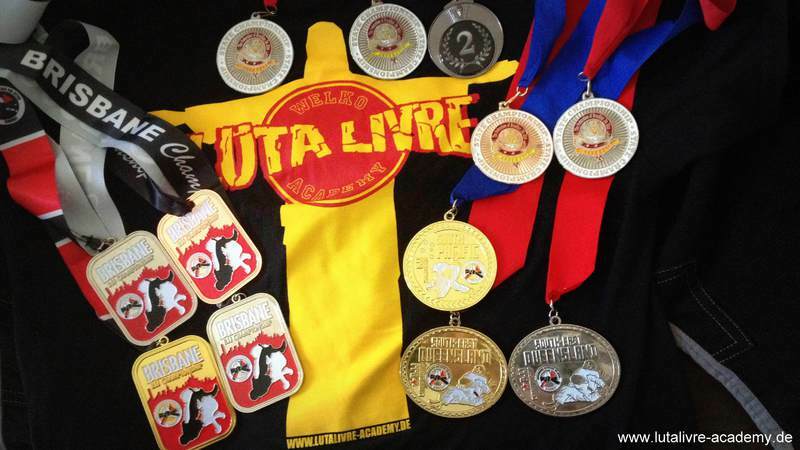 Sean commented “Luta Livre has been a great addition to my grappling world. I have been training really hard in Luta Livre and have also lost 28 Kilos. It has really been paying off. Thanks to Nico Welko for the guidance and support [...]. We are proud to fly the Luta Livre flag of his Academy”. Coach of the Welko Academy in Australia and Kinetik Grappling leader, Matt Hull-Styles, also commented very proudly on the recent victories: “Sean’s success is a combination of his hard work and our training approach. The type of tournament does not matter, because the Welko Academy for Luta Livre method emphasizes pressure, tightness and consequently aiming for finishing the fight”. The Kinetik Grappling Club extended their spectrum by adding Luta Livre to the program since January. Nico Welko, Headcoach of the Welko Academy and National Coach of RFT Deutschland, was glad to hear of the obtained results saying: “Besides supporting the development of Luta Livre in other countries, it makes me happy to generate successful Athletes in the Grappling and MMA community, thus together with the indispensable staff of my coaches I have the privilege to work with me [...]”.Further he explained: “Such results can only be achieved through passion, dedication and conviction based on close Teamwork". To finish the interview he said with enthusiasm “I’m very proud of every one of the Team and my coaches. They provide an admirable work and Matt is without doubt not only a great coach, he is also a good person with a positive attitude”. The Kinetik Grappling Club of the Sunshine Coast University of Queensland has other Tournaments in sight for this year, where the crew will proudly represent the Welko Academy for Luta Livre.